In the fall of 1968 Antioch College (Yellow Springs, Ohio) gave birth to the Afro-American Studies Institute. This Marxist-led program was one of the first Black Studies programs in the country.1 By the end of 1968, Yale University began the implementation of its Black Studies program, financed in large part by the Ford Foundation.2 Nearly 20 years later, around 1988, the first doctoral program in AAS was established. It was not Harvard, Yale, Princeton, or Columbia that would have that honor; it was established at Temple University with Molefi Asante at the helm as chair of the department. The curriculum at Temple was designed to reflect an explicit philosophical and methodological commitment to Afrocentricity. 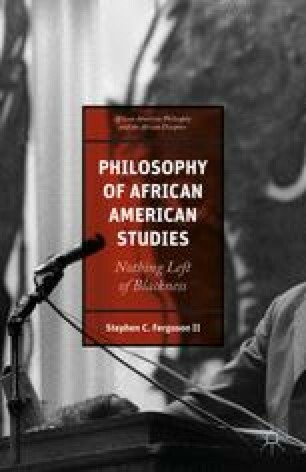 In contrast to conventional wisdom, Afrocentricity—with its focus on reclaiming precolonial African civilizations and culture devoid of class contradictions—was not the predominant philosophical approach as Black Studies entered the ivory tower in 1968. By what strange assortment of events did Afrocentricity come to occupy an intellectual space in Black Studies? Was it the result of a convergence of cosmic accidents (such as Cleopatra’s nose) that lead to its emergence as a school of thought in Black Studies?3 Was it an instance of divine providence by the Egyptian god Osiris, Allah, or Yahweh? Was it the result of the “cunning of Reason” or just the “march of history?” Was it simply an act of pure genius on the part of Molefi Asante and other Afrocentrists?